Porcelain fused to metal also known as PFM, is a standard dentistry restoration procedure that entails bringing back your beautiful smile. The procedure has been around for almost 3 decades. 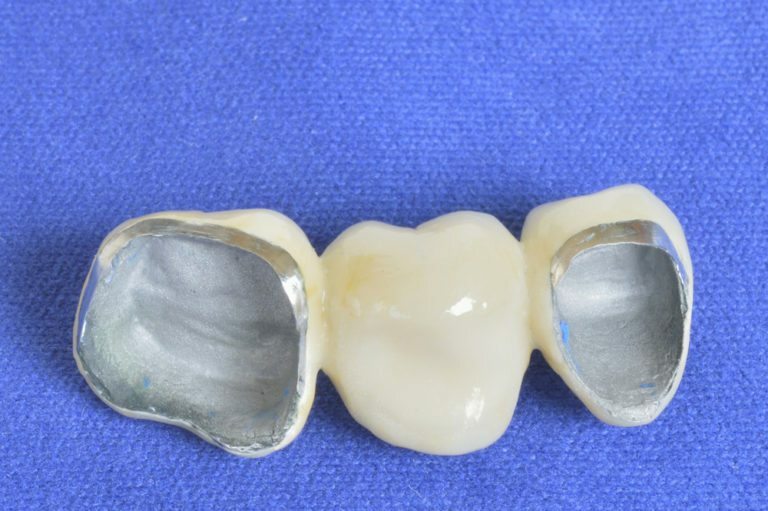 PFM’s can be simply be explained as a hybrid between all-metal and all-ceramic dental crowns. This is because they are made out of both materials. A metal alloy is used to make a thin thimble-like cap that fits snugly over the tooth. Porcelain is then fused over the structure. It forms the shape of a crown and gives it the white tooth-like structure that is much needed. In this time, Tigard dentists just like the rest, around the globe, have adopted PFM ridges and crowns due to their versatility for use. In addition, they have an ability to be matched well with the teeth in the surrounding area. PFM crowns are ideal because they give an excellent balance between resilience and esthetics. The metal portion that is underlying provides a long lasting durability while the porcelain layer on the outer region brings out a natural looking authentic look. Why should I Undergo this procedure? It restores the remaining tooth structure following a root canal. It is ideal in protecting a tooth that is broken or damaged. It helps to anchor a dental bridge. What makes me an eligible candidate for this procedure? If you are looking for a strong but aesthetically appealing crown or bridge, you are a great candidate for the PFM restoration process. This process is important for candidates who suffer with bruxism. This can lead to the deterioration of all-ceramic restorations. To find out more about porcelain fused metal restorations, contact a Tigard dentist today and schedule a consultation. Your teeth will be cleaned before the procedure take off. The Tigard dentist will gently remove the outer layer for bonding. Also, an impression of your teeth will be made and sent to our dental lab. A fabrication of the PFM restoration will be made in a shade that matches your natural teeth. Once done, the restoration is sent back and placement as well as permanent bonding takes place. Are there any special post-treatment care guidelines after being fit for a PFM restoration? After the procedure has taken place. It is normal to experience a little sensitivity on the teeth. This is however normal with many dental processes and should not be the cause of alarm. You will experience hot and cold temperatures after having a PFM restoration placed. This should however subside together with the soreness that comes with the preparation of the tooth. In addition, you should be able to follow religiously the instructions given by the dentist. Keep brushing as well as flossing your teeth daily in order take care of them. You should also be able to tell your dentist if you have any complications with your PFM crown or bridge. Due to its metal-like structure, the PFM crowns are a very strong type of teeth restoration that are ideal. Contact a dentist in Tigard and you will get the best service possible.